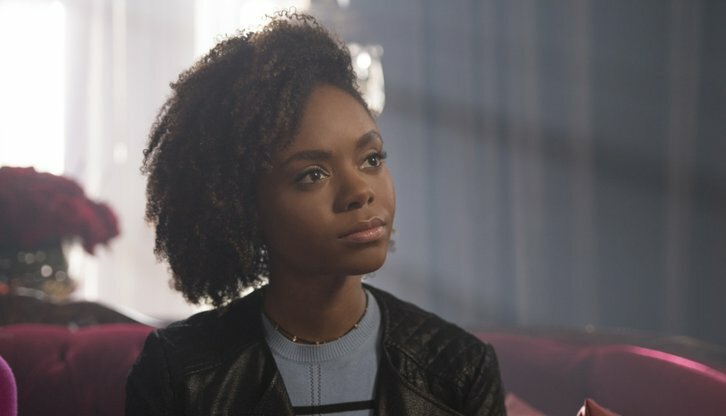 Ashleigh Murray (Riverdale) has been cast as one of the leads in The CW's Riverdale spinoff pilot, Katy Keene, per Deadline. If Katy Keene is ordered to series Murray will exit Riverdale as the show takes place years after the series. The Riverdale musical dramedy spinoff, Katy Keene is being written by Robert Aguirre-Sacasa (Riverdale, Chilling Adventures of Sabrina, Looking) and Michael Grassi (Riverdale, Lost Girl). The series hails from Greg Berlanti, Sarah Schechter, Jon Goldwater, Berlanti Productions and Warner Brothers Television. 20-something Josie McCoy (Murray) sets off on a new adventure to make it in the big city. More determined than ever to break into the music scene as the next Diana Ross, Josie finds herself forging new friendships, falling into new relationships, and, one day, becoming the star she is destined to be.